Dr. T.F. 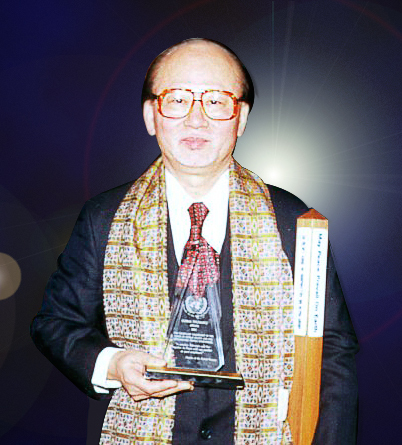 Chen has received many awards throughout his lifetime. Here are a few examples. Dr. T.F. 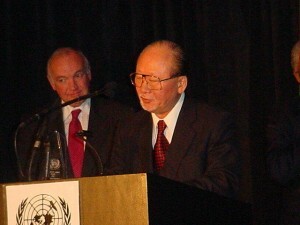 Chen received the “Global Tolerance Award” at the United Nations International Day of Tolerance Banquet at the United Nations, New York City on Tuesday 11th December, 2001. 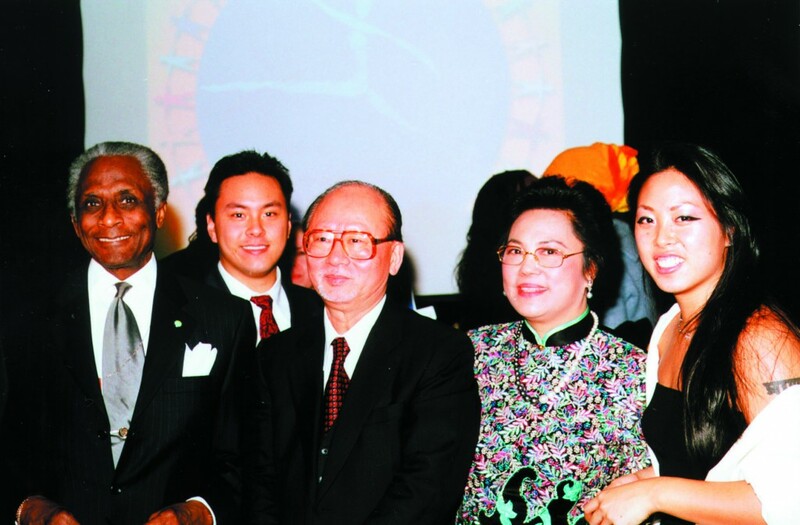 The host of the award — the Friends of the United Nations — honored Dr. Chen for his lifetime of work dedicated to peace, and for his art of multiculturalism — a body of work expressing a shared vision of humanity. 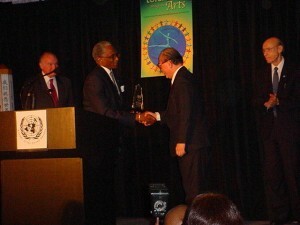 Dr. Chen was the first artist-painter to receive this award. As a designated Cultural Ambassador for Tolerance and Peace, Dr. T.F. Chen has been invited by the Friends of the United Nations to launch the “Arts for Humanity World Tour” to inspire artworks in the spirit of peace and to continue bearing the positive message of the United Nations. In taking this decision to honor you, the Board was most impressed by your art of multiculturalism and a lifetime of work dedicated to peace, tolerance and love and for creating a body of work expressing a shared vision of humanity. As the world seeks to come to terms with a rapidly changing global context and the intensification of tensions we consider it more urgent than ever to mobilize the arts in the service of peace and harmony among peoples. That is why the Friends of the United Nations is keenly interested in working with you in organizing a Global Arts Campaign for Tolerance and peace. 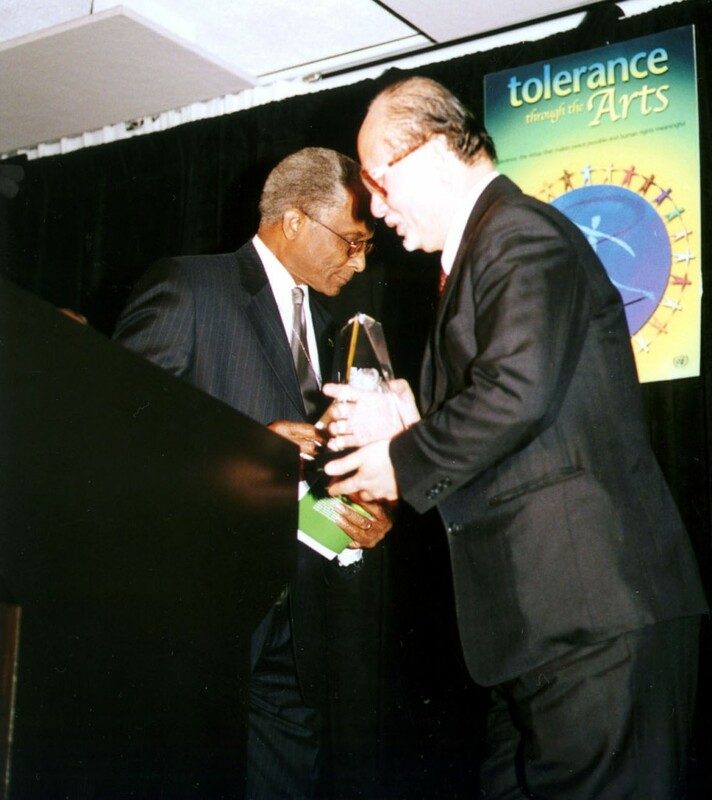 Moreover, as a recipient of the 2001 Award, we hereby designate you a “Cultural Ambassador of Tolerance and Peace” and rely on your continued support in promoting the United Nations program of action to this effect. In 1995, the United Nations General Assembly created the International Day of Tolerance and adopted a set of principles which defined tolerance as an active attitude prompted by the recognition of human rights and fundamental freedoms for others and an acceptance and appreciation of the rich diversity of the world cultures and forms of expression. The Awards Ceremony was held at the United Nations on December 11th, at a dinner banquet attended by 350 honorable guests including UN personnel, other world leaders from the diplomatic community, etc. At the ceremony, there were special messages presented from the President of the UN General-Assembly, President George Bush, Jr. of the USA, General-director of UNESCO, New York Senator Hillary Rodham Clinton, etc. The Global Tolerance Award recognizes individuals and institutions that significantly advance the Follow-up Plan of Action of the International Year for Tolerance by their unwavering determination to promote harmony amid diversity and replace the culture of war by a culture of peace. Other honorees include the Secretary of State Hillary Clinton, the Anti-Defamation League, Mr. Tahar Ben Jelloun, the United Nations Fund for the Development of Women, the SHOA Visual History Foundation, etc. 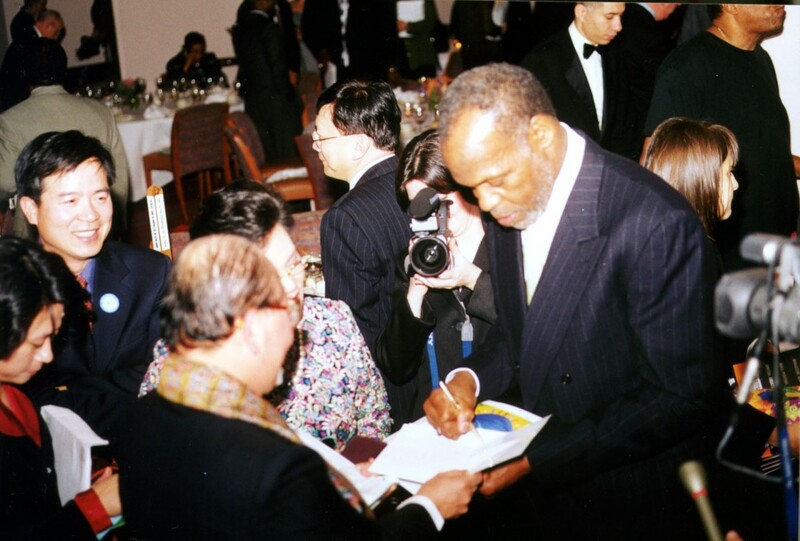 Dr. Chen and his family, mingling with actor Danny Glover, Alanis Morisette, Dr. Noel Brown, and other distinguished guests at the Global Tolerance Award Ceremony. On November 19th, 2005, Dr. T.F. 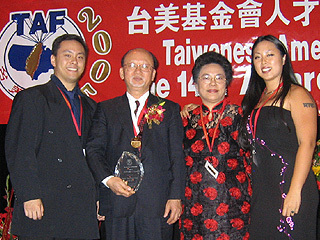 Chen was honored with the “Humanities Achievement Award” from the Taiwanese American Foundation. 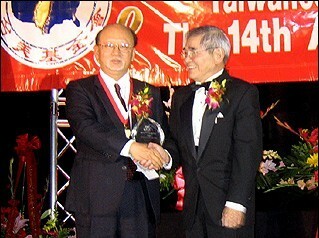 This prestigious Award is considered equivalent to the “Taiwanese Nobel Prize” and is regarded as the highest award in the Taiwanese society. Founded in 1982 by Mr. Ken John Wang, a successful L.A. based entrepreneur from Taiwan and his wife, this bi-annual Award has acknowledged and honored the most accomplished Taiwanese in the fields of science, humanities and social services. The Award recognizes Dr. T.F. 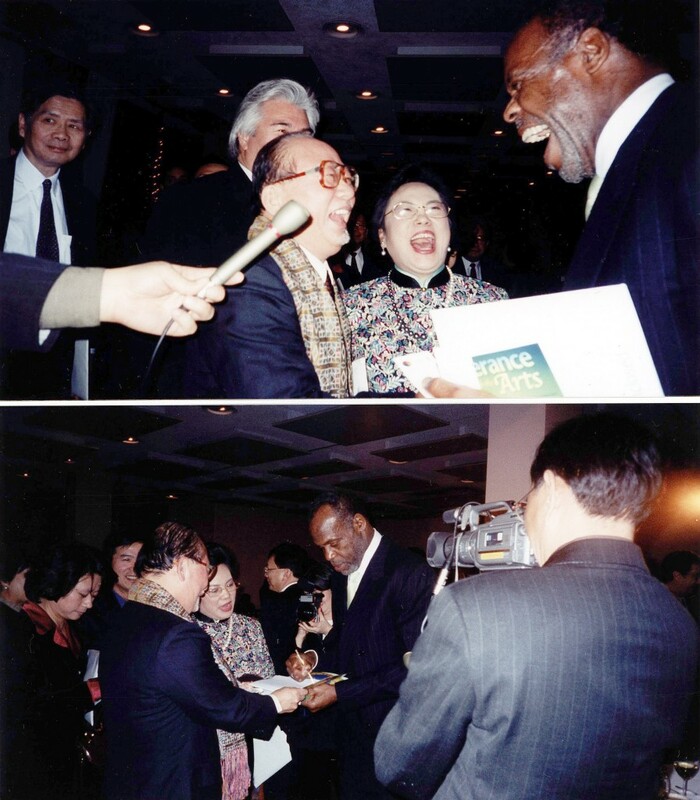 Chen’s artistic achievement and his lifelong service and commitment to uplifting the spirit of the Taiwanese people, as well as advocating Cultural Harmony for all. With no resources but his will and passion for his homeland, Dr. Chen had volunteered many decades since the 1970’s.to unite the Taiwanese communities nationwide to come together, build strong social and cultural ties, and pursue excellence, achievement and strength of character as a people.